We provide you with access to a nationwide network of representatives, advisors and specialists—people who have invested their time and have developed their talents to become experts in their field. Their knowledge is that which comes only from years of experience in financial services. What is paramount to our success is having a flexible approach with complementary solutions. 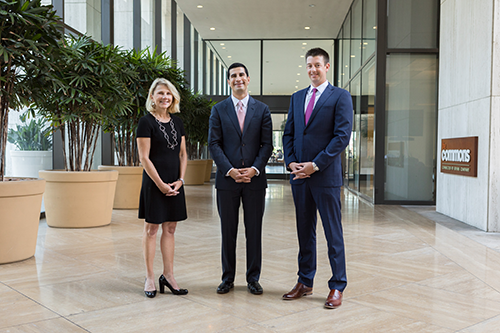 We strive to call on the full capabilities of Northwestern Mutual, providing our clients with financial services that allow them to feel assured that their intentions have been understood and that their needs are being addressed. "We empower and energize our clients to achieve financial security by building lifetime relationships built on trust, integrity, and excellence. This begins with a comprehensive and intimate discovery process, followed by solution implementation using world-class insurance services and internationally recognized investment products, and is monitored with meticulous attention to detail and sound advice, all backed by Northwestern Mutual. Our clients are comfortable knowing that they have a lifelong partner on their path to achieve financial security. " For the second consecutive year, our West Los Angeles office has been named one of the “Best Places to Work in Los Angeles" by the Los Angeles Business Journal. This notable accolade was designed to identify, recognize, and honor the best companies in Los Angeles, benefitting the county's economy, workforce, and businesses. Our office's dedication to providing extensive training and leadership development programs, mentoring opportunities, and the ability to achieve work-life balance, all served as contributing factors. The selection process is based on the strength of the organization’s leadership, career development opportunities, compensation and benefits, and other day-to-day workplace issues.